Newest entry to the mighty and ever-flourishing Jogjakarta's music scene. Poetic yet intense d-beat crusher with strong local content. Every purchase of the cassette comes with a large silkscreen poster. 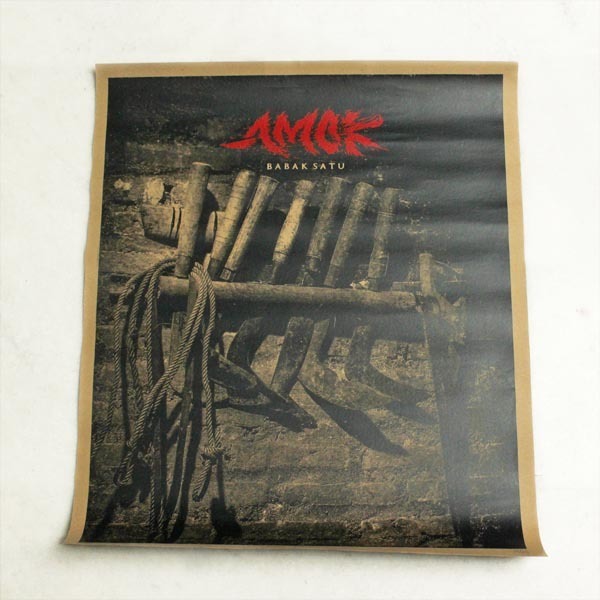 AMOK formed based on collective interests upon local cultural values that tangles with the punk attitude and ideology, where hopes and dreams are put onto practical social and cultural reality ground. All these hope and dream includes togetherness and differences towards a harmonious living which blueprinted the 8-tracks Babak Satu.